Spectacular FURNISHED OPTIONAL Sun City Grand home with EXTENDED 3 car garage, 2 bedrooms PLUS den. You will fall in LOVE with all the details this home offers! PICKIEST Buyers wanted! Newly painted interior features carpet & tile flooring, pre-wiring for surround sound, media wall, ceiling fans, & thermal break window frames w/Low E-glass. Gourmet kitchen w/black appliances,RO system, granite counters, backsplash & custom cabinets. Utility sink & cabinets in laundry rm! 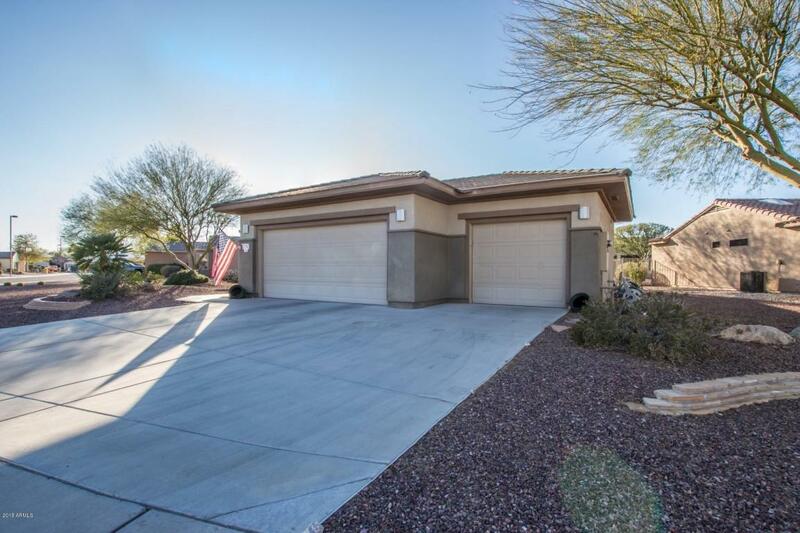 Heated garage w/epoxy flooring, insulated door, 2 ceiling fans, wall mounted TV, & cabinets w/laminate countertops. 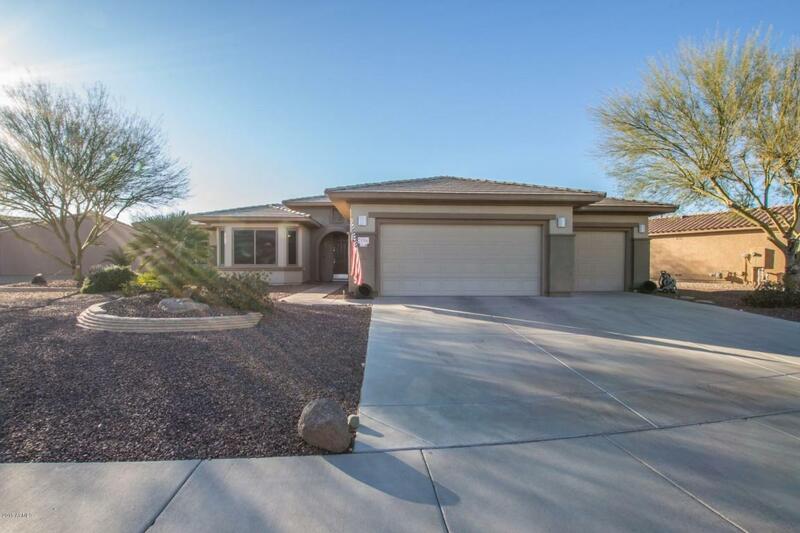 Master features heat lamps, walk in closet, ceiling speakers throughout. Both baths have raised cabinets. 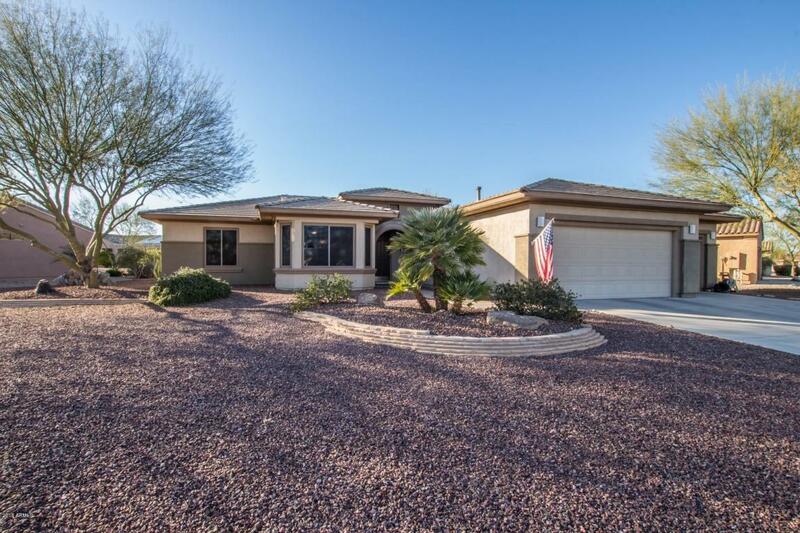 Extended covered patio w/natural gas grill, roller shades, ceiling fan & ceiling speakers. (see more)Home also features radiant barrier roof, sunscreens, termite warranty, new water softener, and new 50 gallon water heater. Plus, this home was built on post-tension slab with custom built vacation mailbox! 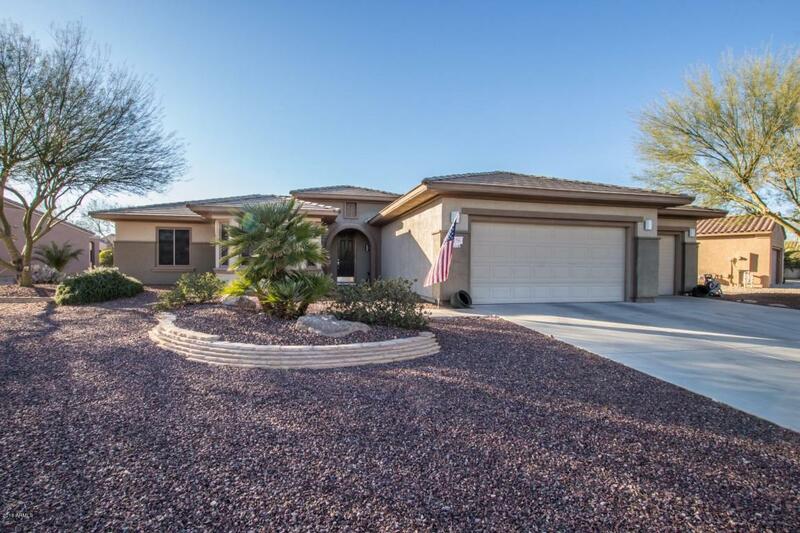 This age restricted (45 yrs and older) Sun City Grand community features 4 championship golf courses, 2 fully equipped fitness centers and community centers, 5 indoor/outdoor swimming pools, Tennis & Pickleball courts, Softball field, over 40 special activities clubs, and 2 full service Restaurants!